I love this. 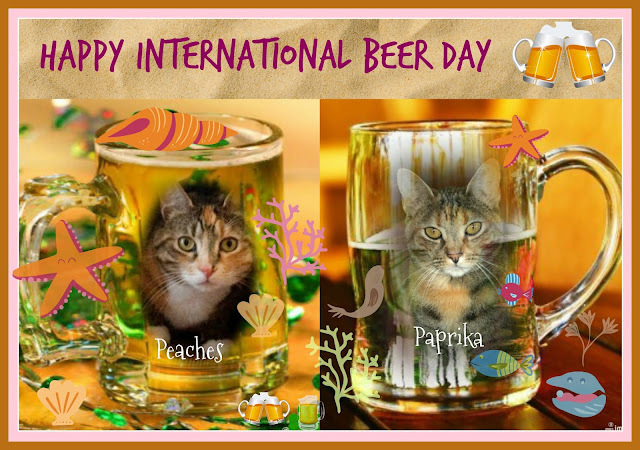 You feature your kitties on your international beer day mugs. Brilliant. Here's too a eer or two! Love your mug shots! MOL maybe they named it after You? My momma are gonna like celebratin dis one! Okay, so we just saw this, and now dad's pouting 'cause he missed it. In his honor I hereby declare today International Beer Day II, for those who missed it the first time. Especially since-and this is more mom than dad- Sam Adams Octoberfest is out again. Mom's favorite!